West Africa forest-savannah transition zone is in crisis. Farming, population, urbanisation, place unbearable strain on its forests, and spread the savannahs, or do they? What is the evidence to support these assertions? We are often led to believe things that we can’t really verify. What poses as science is often based on questionable assumptions. This is the case of the deforestation of ‘Forest Guinea’, a narrative that is often imposed on the landscape by people looking from ‘a distance’, with few to little knowledge of local histories and dynamics. This film accompanies the work of anthropologists Melissa Leach and James Fairhead showing how the landscape in the transition zone from savannah to forest in Guinea, around the prefecture of Kissidougou, is not the result of decay of a once great forest but actually a complex relation between farming activities, safety necessities and overall management done by farmers. Leach and Fairhead discover that forest has not diminished but in fact has increased in a matter of 30 years, due to the knowledge of local populations on how to manage their landscape. This film, and the research of these anthropologists is a great way to question the very common assumption of an untouched nature (hence the rather contradictory title ‘second’ nature). There is obviously a political dimension to the maintenance of the narrative of decay, because local administration, development agents, and policy makers are very often captive of financing strategies of international organizations, established along the lines of these grand narratives, instead of paying close attention to local history. This film is a reminder of the importance of research on locality; but also a warning against the preconceived idea that man is always an agent of destruction in nature and, in general, against misinformation. The aim of social sciences applied to development and policy making is less one of finding hidden metaphysical truths and more of rendering programmatic strategies more efficient and prevent the wasting of ressources that is so unfortunately common when funding structures follow pre-fabricated knowledge. In 2007, in an interview to the Guardian, upon being named for Director of the Institute for Development Studies of the University of Sussex, Melissa Leach, stresses the need for ‘interdisciplinary approaches to understanding and addressing situations that combine an understanding of social, technological and environmental processes’. What is said here of deforestation, farming and development, can be said of health or human rights: the need for depth of interpretations is the need for a knowledge that is not based on narrative assumptions, as scientific they may sound, but one where historical relations and cultural representations can be used to prevent policy making and development strategies from transposing schemes bred in one place into another acritically. how conservation and environmental agendas, often assumed to be rooted in science, can become entangled with narratives about race and culture that the powerful tell about the third world. None of these examples stand here to say ‘deforestation’ isn’t a problem, or a fact in considerable parts of the world; nor that the strain caused by overpopulation, food insecurity and other pressures on ecosystems caused by man isn’t real. These two examples remind us of the importance of fact checking, the danger of working policy around general assumptions, but also, and important for the work we develop in CEI-IUL, how pseudo-facts are actively used for stereotyping geographical areas, cultures and societies and the people that live in them. Stories that don’t fit rooted narratives are often put aside without further inquiry. In a time where the flows of information are causing a widespread overload to filter information and review it has also become a duty of science. Leach, Melissa (2016), “Interconnected challenges,” IDS Development Frames 001. 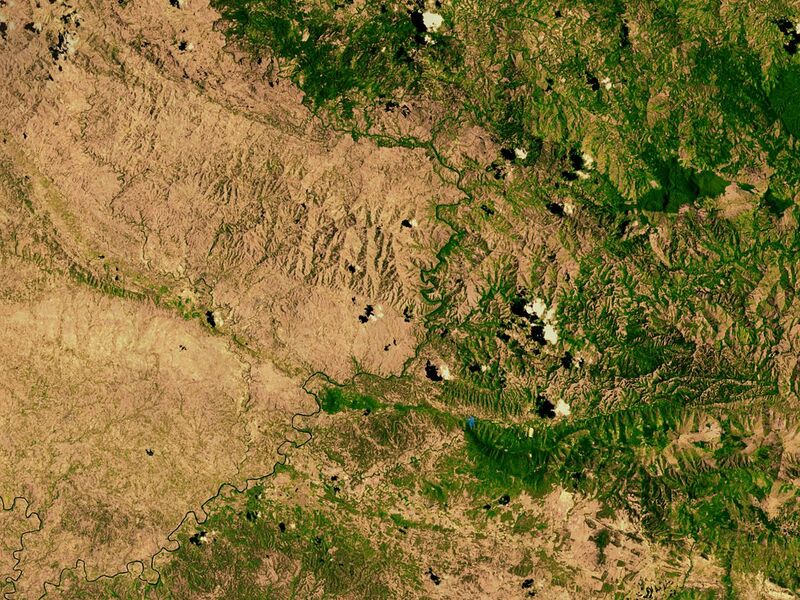 Tarter, Andrew (2016) “Haiti is covered with trees“, Blog Post. ← Um Segundo Ataque a Mossul: e Depois?